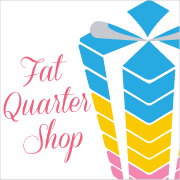 The fat quarter shop has always been a source of inspiration for me. I find myself checking the New section on their website everyday. 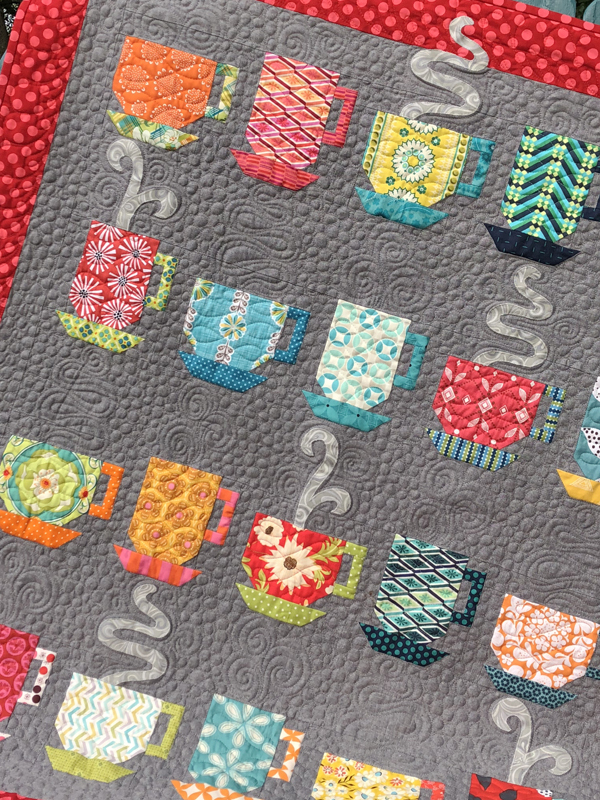 Then It's Sew Emma arrived. The designs knocked my socks off! 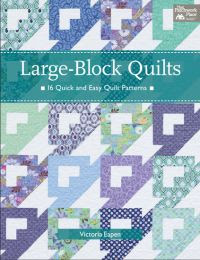 began offering You-tube videos of free quilt patterns. 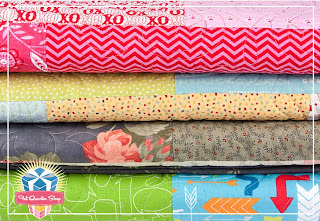 but a pattern specifically for pre-cuts. 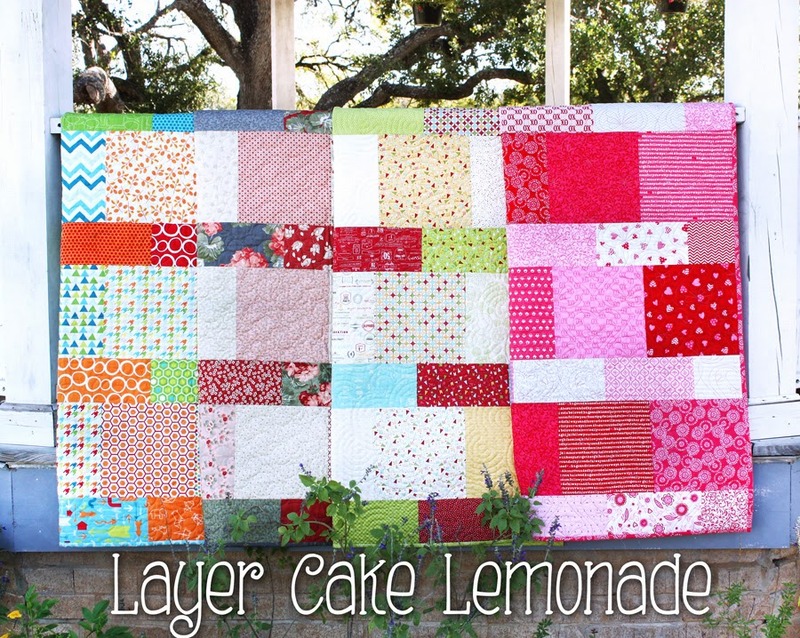 It's called Layer cake Lemonade. You can imagine how excited I was when they asked me to test the pattern. 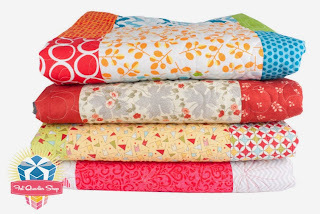 I wanted to make a quilt that could express that fall feeling. 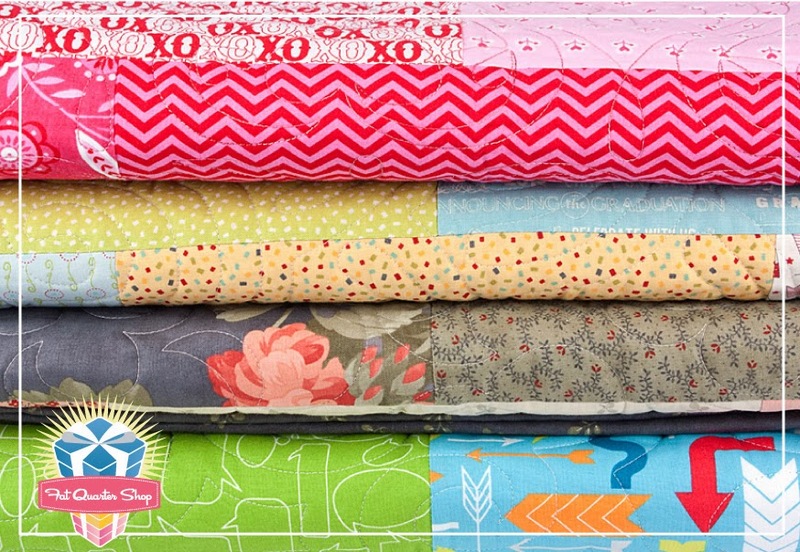 3-Sisters Vin Du Jour was the perfect fabric line. I divided my fabric into light and darks as suggested. The time to piece the quilt was about 2 hours. feedsack Yuwa print for the backing. I even quilted it myself on my regular sewing machine. It's a great size and it's not too big to manage. My layer cake had a few squares left over. So I cut them into 2 1/4" strips and sewed them to together to create binding. and added that to my other binding. it was perfect, scrappy and used almost all the fabric. 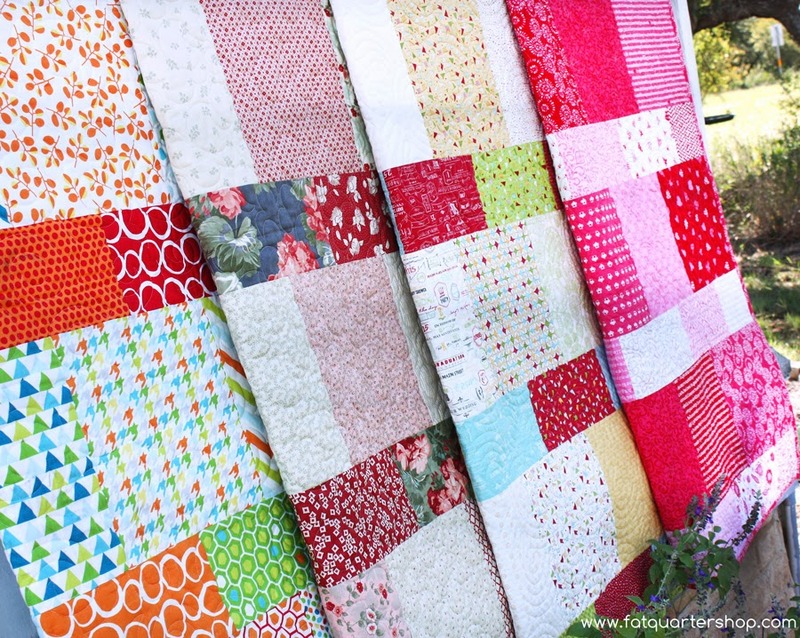 I'd like to make a couple more of these quilts and pass them on as gifts. 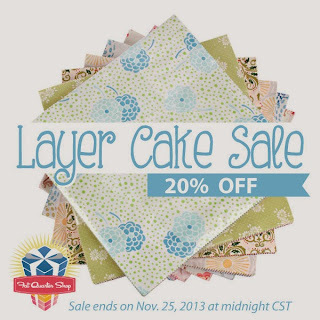 Turns out the fat quarter shop is offering their layer cakes at 20% off this week. HAVE FUN DREAMING UP WHICH LAYER CAKE YOU WOULD USE. guitars, mustaches and musical notes...who could ask for a better fabric combo? but not nearly as much as usual. 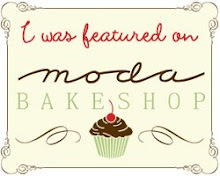 I actually can't believe it's been so long since I posted on my blog. I have started a few tea towels for the Christmas holiday too. I'll post as I finish them.